We’ve created a new Facebook group specifically for pig stockmen. 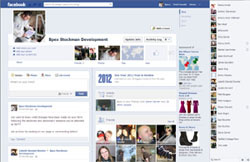 Log-in to your account at www.facebook.com and search for ‘BPEX Stockman Development’ to join the group. It is for all pig stockmen to help improve knowledge and share ideas with others around the country – linked directly to the BPEX Stockman Development and Stockman Plus courses. The group page will highlight workshop, relevant videos and course content, photo stories and allow discussions.